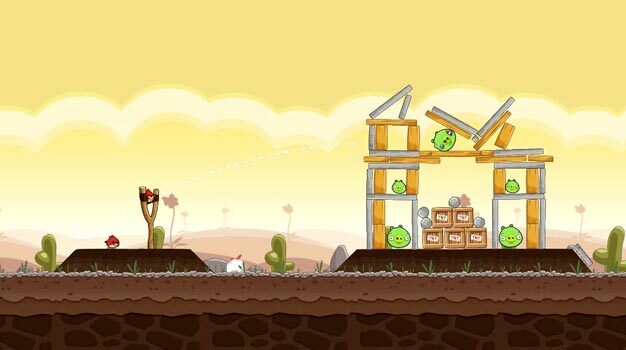 Angry Birds, the chart-topping, life-consuming mobile phenomenon is making its way to the console world. According to Pocketgamer, Rovio CEO Peter Vesterbacka stated during the inaugural Social Games Summit that the game will be coming to PSN, Wii and Xbox 360 “for starters.” Some of the previously speculated platforms include Nintendo DS and PSP. Vesterbacka also indicated that multiplayer mode in the console port will resemble “old school Worms.” And for more teases, he revealed that a “surprise” version of the game will tell the story from the pigs’ point of view. Finally, some back story on those egg-thieving piggies. We’ll likely be short on more details until the official announcement, but one thing is certain. Console fame isn’t going to make these birds any happier.